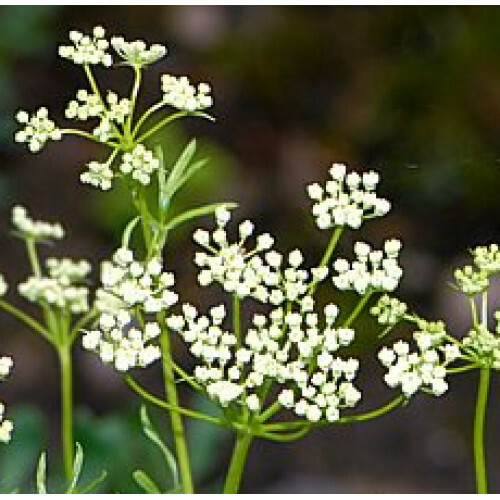 Aromatic Scent: Aniseed Essential Oil has a spicy-sweet characteristic scent. Blends well with: Bay, Cardamom, Caraway, Cedarwood, Coriander, Dill, Fennel, Mandarin, Petitgrain, and Rosewood. Historical: Revered by ancient civilizations, particularly in the Middle East, Aniseed has long been used in cooking and in bread-making. The Romans hailed it as an aphrodisiac, and in India, the seeds are still chewed to sweeten the breath. It is widely used as a spice in cooking, and as an ingredient in toothpastes and mouthwashes. Aniseed oil is very popular amongst soap-makers because the fresh spicy scent eliminates the smell of onions and fish on the hands when used by cooks, and masks the odor of humans when used by fishermen and hunters. Color: Colorless to pale yellow liquid. Common Uses: Aniseed is considered to have antiseptic, anti-spasmodic, carminative, diuretic, expectorant, galactagogue, stimulant and stomachic properties. Additionally, it is reputed to control the lice and itch mite. Consistency: Thin Note: Top Strength of Aroma: Medium Aromatic Scent: Aniseed Essential Oil has a spicy-sweet characteristic scent.